Myles is using Smore newsletters to spread the word online. Children have been being used in military for a very long time. 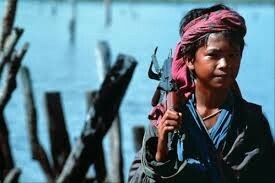 Child soldiers can have many roles in military. Some are used as soldiers but some are used for spies, messengers, look outs, or they are used for political uses such as human shields or propaganda. The many places that the children are being used in Africa would be Central African Republic, Chad, Democratic Republic of Congo, Rwanda, Somalia, South Africa, Sudan, Uganda and Zimbabwe. In Asia children are used in Afghanistan, Burma, Indonesia, Laos, Philippines, and Sri Lanka. 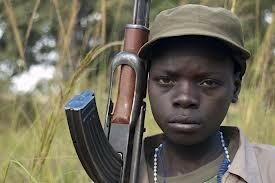 Somalia is the number one country in using Child Soldiers, they have used over 200,000 kids in their military. Number two would be Afghanistan and they take kids out of religious schools and use them as suicide bombers and gunman. Number three is burma they have used over 70,000 kids in their military. Number four is Bolivia and they have over 40% of their country are under 16. Number five is Uganda and they have Joseph Kony running their military and have over 30,000 boys and girls as child soldiers.